Time. It is the thing that most people claim they don’t have enough of, and the lack of it is the most common excuse for not exercising. But everyone has fourteen minutes. 14-Minute Metabolic Workouts is the solution to everyone’s time problem, in that it offers fitness-conscious people a variety of compact, science-based workouts that target the five components of physical fitnesscardiovascular endurance, muscular endurance, muscular strength, body composition, and flexibility. 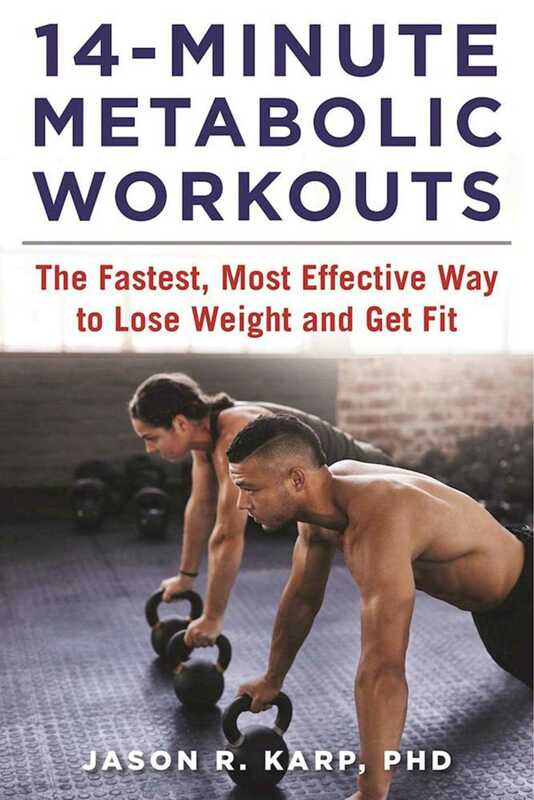 This complete guide includes information on cardio intervals, strength circuits, sprint intervals, muscle power workouts, and flexibility workoutsfor people of different fitness levels to address everyone’s individual needs. The book, which features photos to accompany the exercise descriptions, also includes workouts that can be done at the gym, at home, or outside. If that’s not enough, the last chapter contains a cleverly-crafted menu” of workouts so that readers can choose their own daily workout and create an individualized weekly training program. The perfect gift for anyone trying to lose weight and get fit!